This blog was made for the fun of critiquing or analyzing Yu-Gi-Oh! 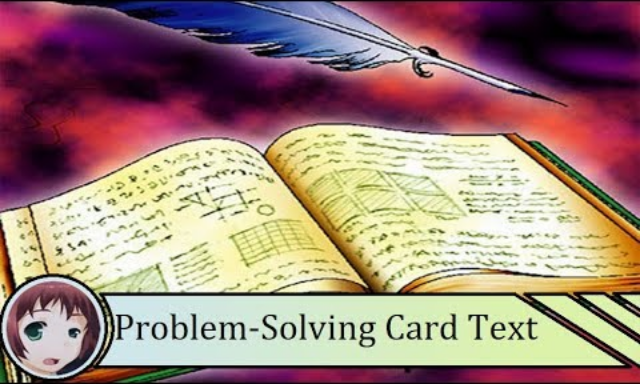 Problem-Solving Card Text (PSCT), and sometimes making parodies of existing card text by creating custom cards with intentionally redundant text. I hope you enjoy some of the material on here, because this is something I love to do, both for my own learning and for yours, in addition to the humor. Disclaimer: Yu-Gi-Oh! is (c) 1996 Kazuki Takahashi, and in regards to any card parodies specifically, this page is not intended to be a source of official card text. Beyond that, the critique or analysis of PSCT is intended not to poke fun at the writers, but to appreciate the specific decisions made, typically to analyze the consequences, synergies, etc.